You have probably heard by now that Mattress Firm has filed for Chapter 11 bankruptcy. The good news is that they are planning to pay all of their suppliers what they are owed, so everyone can exhale and go about planning your business. The bad news is that they are going to be closing down 700 stores so they can reconcile some bad real estate which means many will lose their jobs. That’s always the worst part with something like this. I’ve had a lot of conversations with people about how all of this happened. Too many stores, mismanagement, the break up with Tempur-Pedic, no consistency with their marketing, I’ve heard it all. At the end of the day, I guess it really doesn’t matter because what’s done is done. Now everyone has to figure out what comes next right? The big question I keep running into is “Will Mattress Firm and Tempur-Pedic get back together after a very nasty separation.” It’s hard to imagine that would happen given all of the lawsuits, hurt feelings, egos, and supply agreements on both sides but never say never. 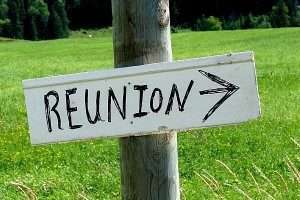 Fact is that both companies would likely benefit a great deal from a reunion. For Tempur-Pedic, they would pick up about 3,000 retail locations which could plug some holes on the map for them and deliver a significant boost to their top and bottom line. For Mattress Firm, they could bring back that great Tempur-Pedic brand that drove their traffic for so long and shore up those big ticket averages. But are they better off keeping things the way they are? Is the band getting back together? Mark Kinsley and I dug into this a little on our most recent Dos Marcos podcast so check that out HERE but allow me to recap that for you. Tempur says that they are doing great in their company-owned stores. Scott Thompson has made some public comments about the fact that in those stores they are running up 200% year over year and their average tickets are much higher than what they were seeing at Mattress Firm which I don’t doubt, but how many of those stores do they have? It’s going to take a lot more of those company-owned stores to make up for the lost Mattress Firm volume. After speaking to Steve Stagner, CEO at Mattress Firm, I got the impression that he was not opposed to the idea of Tempur-Pedic coming back but wants to make sure that the product value is there for the consumer. They are testing a few of their own brands now and getting some great results with big margins and they are seeing some of those big-ticket transactions come back. But can it replace the net benefit you get from the Tempur-Pedic products and brand strength? ⟵Mattress Stores With No Salespeople? I have to think that there is a long term agreement between Serta and Simmons, and would think there would be more potential law suites given that Tempur-Pedic would take business away from the iComfort line. Given the amount of advertising dollars that Mattress Firm received only time will tell. Could not agree more Wes, if they let them back in there would be all kinds of issues with contracts but I have seen stuff like that get worked out before so who knows. The bigger thing to me is that the new memory foam line at MF, Therapedic Premium, is doing great so I’m not sure why they even need Tempur-Pedic IF and only IF they are committed to building that new brand up. They haven’t even spent any money around it and their new marketing guy Scott Thaler is pretty salty so we will see what happens! Thanks for reading Wes! Lots of very public water has went under that bridge…I just do not see that happening. But hey…what do I know..never would I dream they would split to start with! I hear you Victoria! A lot of emotion connected to all of that but things have calmed down a lot so maybe the business case will drive the decision vs. emotion? We will see! As someone who left MFRM and opened a Sealy Tempur store and hearing either side I don’t see it happening. I think everyone down plays the Sealy side and they would benefit more from that than Tempur. But with Steinhoff being a vertical integration company I don’t see them going back to Tempur/Sealy. Plus, Simmons/Serta have a 5 year deal that they are in year 2 of…so I doubt they would be back before that ends anyway.